Content is king when it comes to search engine optimization. Search algorithms reward frequent additions to your website and large amounts of keyword-optimized content. Underscore Creative researches and writes three to four blog articles per week that are geared toward home builders and ensure fresh content on the site. The articles are also used to drive traffic to the website from Facebook. Grant writing is a challenging task but critical to the ability of most nonprofits, including schools, to provide the services they do. 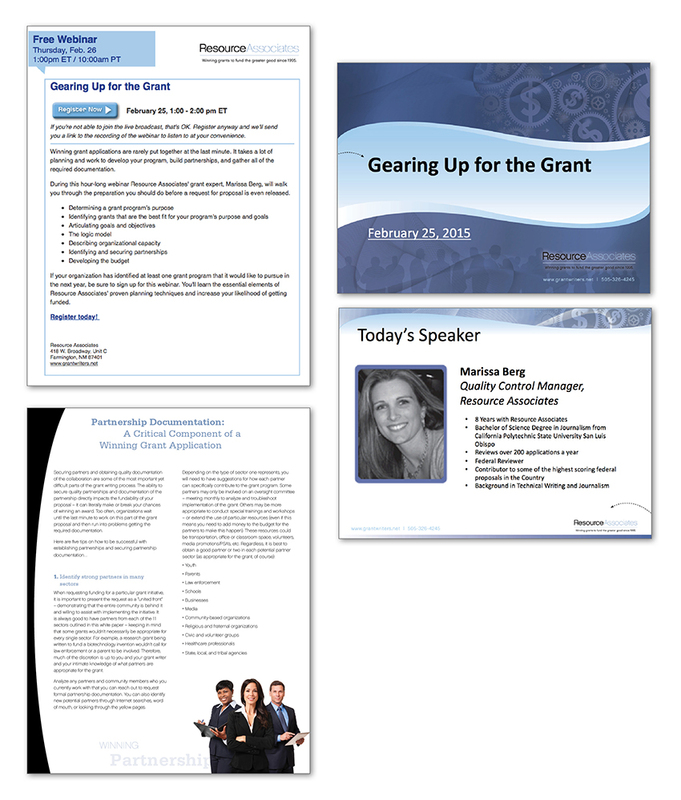 Underscore works with Resource Associates to produce regular informational webinars about grant writing best practices as well as whitepapers designed to support nonprofits in their efforts to fund their work. Live webinars and archived versions of the webinars posted on the Resource Associates website have proven to generate large numbers of qualified leads.